I’m looking forward to giving it a proper run next week if this swell delivers. Third surf on it so far, and for flex through turns and dampening through bump i can’t honesty feel the difference between lib tech construction and polyurethane board. Got chatting to another bloke that had a lib tech for nearly two years, surfed it loads, and didn’t have a mark on it. After almost a week and that’s the best you can do? Mongs love to procrastinate. Ordered a DVS Weiner today. Can’t find any info. What is it? Yeh, a little rare. 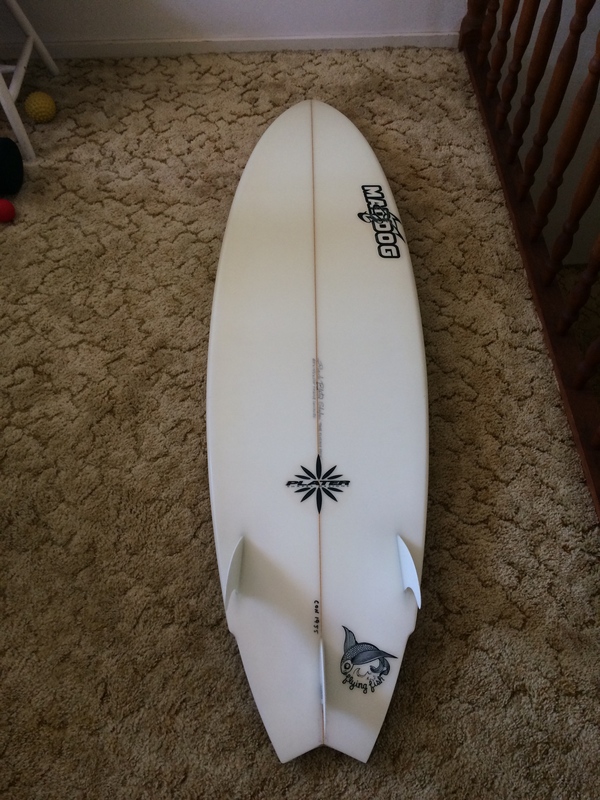 A 6'4 2+1 with a sub nose and pin tail and a big V running down from the middle of the board. I've spoken to people who compare the squirt to bonzers. He's not getting any younger (75) so decided to give him a call and asked for fun board that could work in something faster or more powerful. Whatever, first time i saw it today Libtard. Getting a friend to shape me something similar to this. It was Made Kasim's, I swapped a 7' Banksy gun for it. 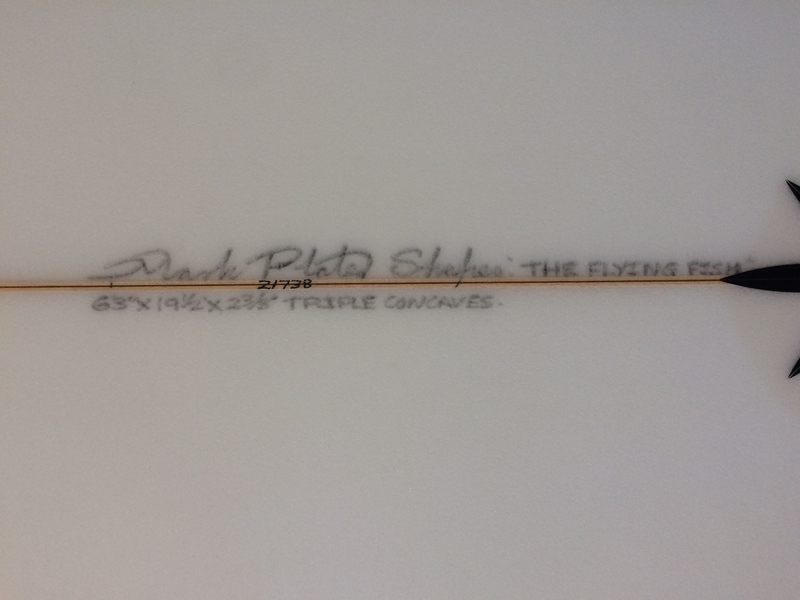 I just picked up this Mark Plater flying fish for 100 big ones. Light depressions on top. The glassed in soar fins and bottom are unblemished. Feels like a really solid board, great glass job. Maybe a bit MR super twin inspired? I know Mark used to make boards for MR. I was interested in what the triple concaves meant but it looks like it's just single to double within the single. Pretty deep though. 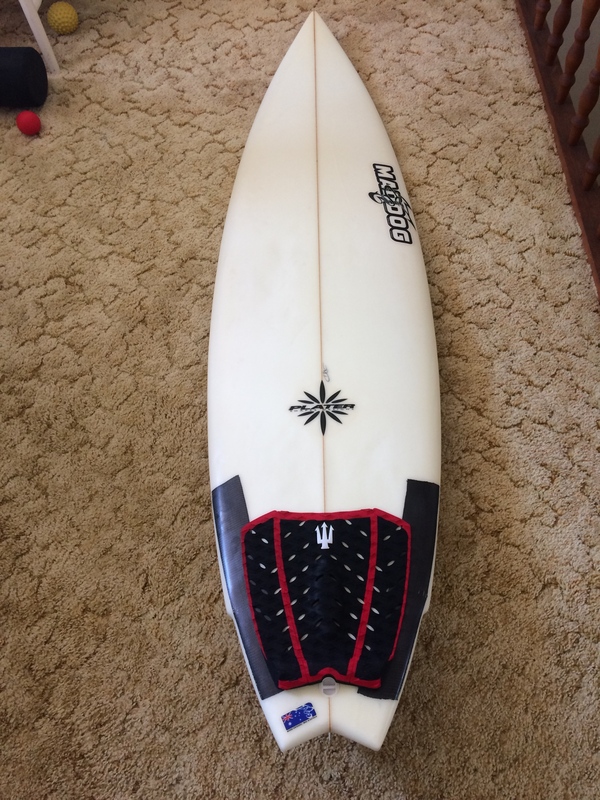 It's a bit bigger than I usually ride but I think it could be good to have a cheap board for those high tide Lennox rock offs. Can't go wrong for the coin. Last edited by buddy on Wed Feb 20, 2019 2:12 pm, edited 1 time in total. Take that ghastly tail pad off before you do anything. I was a bit upset the ad didn't say - comes with free tail pad. Well it's stuck on there so I'm leaving it. Cool board Buddy. And our TOTY royalty can piss off until they post some pics of themselves surfing. My shorties are generally 5'10.